On Black Friday 2014, my wife and I got a 2-for-1 special at the hospital when our twin daughters were born. Collaborations with Mike Reinold: The entire Functional Stability Training Series and Optimal Shoulder Performance can be purchased for 25% off using the coupon code BF2015. Collaborations with Mike Robertson and Bill Hartman: Building the Efficient Athlete, Assess and Correct, and Magnificent Mobility can be purchased for 20% off. No coupon code is necessary; you can find them all HERE. 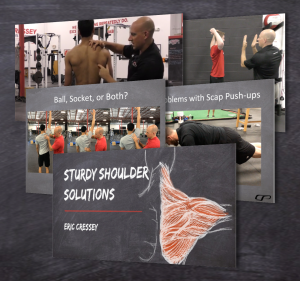 My Digital Products; Understanding and Coaching the Anterior Core, Everything Elbow, The Art of the Deload, and The Truth About Unstable Surface Training can all be purchased for 40% off using the coupon code BF2015. You can find all four at my Products Page. If you've read EricCressey.com for any length of time, you're surely aware that I'm not a fan of distance running for pitchers. I've published multiple articles (here, here, here, and here) outlining my rationale for the why, but these articles have largely been based on theory, anecdotal experience, and the research of others. Today, I wanted to share with you a bit of data we collected at Cressey Sports Performance - Florida not too long ago. 1. Athletes absolutely must have a well-developed aerobic system in order to recover both acutely (during the training session or competition/games) and chronically (between training sessions and competitions/games). It's relatively easy to improve if approached correctly, and can yield outstanding benefits on a number of physiological fronts. 2. As long as the intensity is kept low enough during aerobic training initiatives, it won't compromise strength and power development. I wrote about this all the way back in 2003 with Cardio Confusion, but many industry notables like Alex Viada, Joel Jamieson, Mike Robertson, Bill Hartman Eric Oetter, Pat Davidson, Charlie Weingroff have done a far better job describing the mechanisms of action in the 12 years since that article was published. 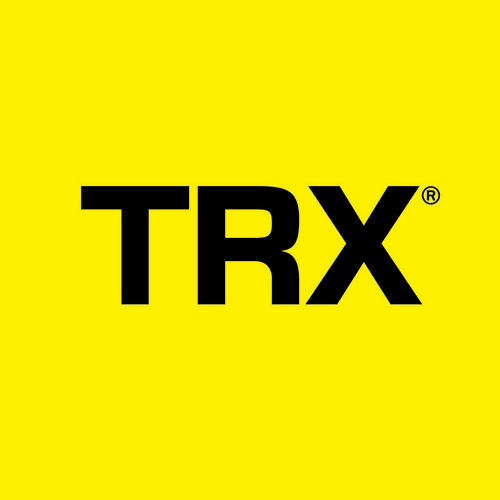 Speaking generally, most folks put the "safe zone" intensity for aerobic development without strength/power compromise at approximately 60-70% of max heart rate (Zone 2, for the endurance savvy folks out there). 3. It might be a large amplitude movement (great ranges-of-motion achieved), but baseball is a low movement variability sport. Pitchers are the most heavily affected; they do the exact same thing for anywhere from 6-9 months out of the year (or up to 12, if they're making bad decisions by playing 12 months out of the year). Distance running to me does not offer significant enough movement variability to be a useful training option for developing the aerobic system. 4. The absolute best time to develop the aerobic system is early in the off-season. For the professional baseball player, this is Sep-Oct for minor leaguers, and Oct-Nov for major leaguers. This is one more strike against distance running; after a long season of being on their feet in cleats, the last thing players need is a higher-impact aerobic approach. With these four points in mind, two years ago, I started integrating aerobic work in the form of mobility circuits with our pro guys in the early off-season. The goals were very simple: improve movement quality and build a better aerobic foundation to optimize recovery – but do so without interfering with strength gains, body weight/composition improvements, and the early off-season recharge mode. The results were awesome to the naked eye – but it wasn’t until this week that I really decided that we ought to quantify it. Lucky for me, one CSP athlete – Chicago White Sox pitching prospect Jake Johansen – was up for the challenge and rocked a heart rate monitor for his entire mobility circuit. A big thanks goes out to Jake for helping me with this. Now, let’s get to the actual numbers and program. Jake is 24 years old, and his resting heart rate upon rising was 56 beats per minute (bpm). If we use the Karvonen Formula for maximum HR (takes into account age and resting HR) and apply our 60-70% for zone 2, we want him living in the 140-154bpm range for the duration of his session. As you can see from the chart below – which features HR readings at the end of every set during his session – he pretty much hovered in this zone the entire time. The only time he was a bit above it was during an “extended” warm-up where I added in some low-level plyo drills just to avoid completely detraining sprint work (he’d already had a few weeks off from baseball before starting up his off-season). When all was said and done, Jake averaged 145bpm for the 38 minutes between the end of his warm-up and the completion of the session. He bumped up a little bit high in a few spots, but that’s easily remedied by adding in a slightly longer break between sets – or even just rearranging the pairings. To that last point, I should also note that this approach only works if an athlete is cognizant of not taking too long between sets. If he chats with his buddies and heart rate dips too much between "bouts," you're basically doing a lame interval session instead of something truly continuous. Jake did 44 sets of low-intensity work in 38 minutes. You can't get that much work in if you're taking time to tell a training partner about the cute thing your puppy did, or pondering your fantasy football roster. What do you think this kind of approach could do for the foundation of movement quality for a typical high school, college, or professional pitching staff? Don't you think it might make them more athletic, and even more capable of making mechanical changes easier? Don't you think they'd be less injury-resistant performing an individualized mobility circuit instead of one-size-fits-all distance running? Do you think that maybe, just maybe, they'd feel better after an 11-hour bus ride? Don't you think they'd bounce back more quickly between outings? What is difficult for some coaches, though, is admitting that distance running to "build up your legs" is like changing the tires on a car with no engine, or studying for the wrong test. Just because "that's how it's always been done" doesn't mean that's how it has to stay. Give some of these a try in the early off-season - and even during the season in place of "flush runs." They'll be a big hit with your athletes both in terms of performance and health. And, for those of your looking for another Z2 training option, look no further. We utilize both barbell hip thrusts and supine bridges on a regular basis in our programming. Popularized by Bret Contreras, we started utilizing these exercises in 2011 - and haven't looked back since. They're great alternatives to squatting and deadlifting for those with a history of back pain, and can be awesome options for training the posterior chain in those with upper body conditions that may be exacerbated by certain squat and deadlift variations. They don't create a ton of soreness, so they can be awesome in-season exercises for athletes. And, they'll build bigger, stronger glutes that seem to carry over better to athletic performance because of the horizontally directed force (as opposed to the vertically directed force we see with squats and deadlifts). In short, I think they're awesome on a number of fronts - and they're here to stay. Is Your Strength and Conditioning Internship a One-Way Street? Q: We have had struggles trying to find a decent referral source for quality interns. How have you had success finding them? Certainly, there are ways that you can “recruit” new interns. Establishing a good relationship with a nearby college with an exercise science program is a good place to start. Or, you can even look to your former high school athletes who have pursued a degree in a related field; they know your systems and can definitely hit the ground running. However, I’d argue that the absolute best way to grow your internship is the same way that you’d grow your “normal” training clientele: deliver a high-quality product and generate great word of mouth buzz. In other words, as Cal Newport’s popular book’s title suggests, Be So Good They Can’t Ignore You. The problem, unfortunately, is that a lot of internships in the fitness industry aren’t very good. Before we delve into the “why” behind this, I’m going to let the numbers do the talking for a few paragraphs. Each year at Cressey Sports Performance (CSP), we receive roughly 200 internship applications; this corresponds to roughly “accepted” 25-30 interns per year between the Massachusetts and Florida facility. In other words, we only accept about 10-15% of applicants. Regardless of whether your issue is not having enough applicants, or not having enough “good” interns, the answer is the same: you need to deliver a better product. It sounds kind of like running a training business (or any business), doesn’t it? We get 200+ applicants per year for internships because we go out of our way to deliver a quality experience. As a frame of reference, every incoming CSP intern goes through a 10-week online course and a video database of close to 800 exercises. In other words, they effectively have 60-80 hours of studying that needs to take place before they arrive. That’s roughly the equivalent of two college courses. On the first day of the internship, during their 90-minute orientation, they are handed about $250 worth of head-to-toe New Balance gear. Over the first three weeks, there are daily 30-minute "onboarding" workshops to cover a specific coaching topic. Thereafter, each week, there is a 60-90-minute in-service delivered by one of our staff members. Over the course of the internship, they receive free admission to any seminars we host. They can sign out books/DVDs from the large training/nutrition library in the office. Finally, we are always looking for part-time employment opportunities for them during the internship – and full-time employment opportunities after the internships end. We also have a closed Facebook group for all former interns that keeps them connected for everything from sharing employment opportunities, to brainstorming on tough client/patient cases, to finding good referrals in different areas. Over the years, it's led to positions in professional and college sports, plus a host of private facilities around the country. Above all else, though, we do our best to empower our interns as soon as they’ve proven they’ve capable of taking on more challenging roles. In other words, the internships evolve to allow their coaching responsibilities to expand as they become more proficient. As an example, in the past year alone, we’ve had two interns who were so awesome during their internships that they “forced our hand” to create positions for them as full-time staff members. To me, this still doesn’t seem like enough. These folks are putting their lives on hold to work unpaid internships – and in many cases, moving across the country to do so. They become part of our “CSP Family” for life and we want to treat them accordingly. Unfortunately, we are an exception to the rule. There are still a lot of fitness internships that are “observation only.” If you don’t empower a young coach to grow, how can you truly evaluate whether he/she will be a great employee? Supervisors shouldn’t stay as supervisors; they should ultimately become “peers.” In this regard, I owe tremendous credit to coaches Chris West and Teena Murray (now of Louisville) for not only giving me an opportunity to help out during my University of Connecticut years, but for continuing to challenge me in different ways as my internship experience progressed. Great coaches bring their athletes along the right pace, but they also do so for those they mentor on the coaching side of things. Sadly, a lot of people in the industry view internships as a one-way street, treating up-and-comers as just cheap or free labor. Cleaning may be a responsibility, but it shouldn’t be the only responsibility. I know I can speak for our staff when I say that we take a lot of pride in trying to go out of our way to help them all develop. We really enjoy teaching. “A) Being surrounded be people who challenged me to think critically (this included the other interns). “A) Gaining family and friends through means of collaboration, learning, and helping be a part of something genuinely special. You can feel the hard work around you from the staff and the athlete's. The environment breeds a standard of excellence. “A) Gaining lifelong friendships with the staff and intern group. The whole CSP environment in general, creates a very welcoming and learning atmosphere. All around best internship experience for any new young professional‬‬. Every single former intern refers back to becoming part of a family, or something special. They reflect fondly on being around people that empowered them and challenged them to be better, holding them to a higher standard of professional excellence. A good internship welcomes strength and conditioning up-and-comers as an integral part of a team. You wouldn’t spend a ton of money on marketing your training facility if you didn’t know that your training product was solid, would you? Of course not! With that in mind, before you start going out to find interns, ask yourself why you’re doing it. Is it because you love to teach and feel a responsibility to deliver a great product to benefit the future of the industry? If so, make sure a quality product is in place and then have at it. However, if you’re just looking for someone to help you sweep the floors, maybe you’re not meant to run an internship program. To learn more about CSP's internship opportunities, click here.